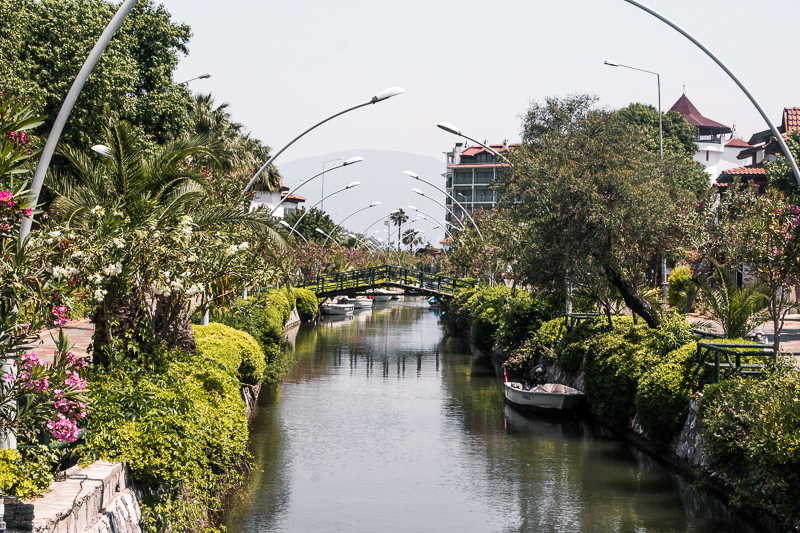 Until the 1980s, Marmaris, Turkey, was just a thriving fishing and citrus village. Today, it’s one of Europe’s most prominent summer vacation spots and tourist destinations. The town’s population of 40,000 increases to 300,000 in the holiday season. Marmaris is the perfect place to unwind from the tedium and stress of work and life. 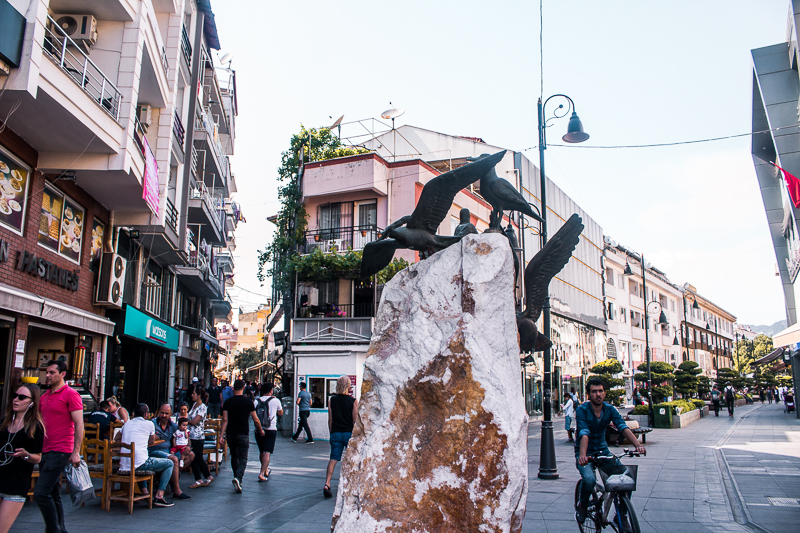 People are lured by its rich history, abundance of adventure activities, and its exceptional culinary scene. From paragliding down the mountain or relaxing beside calm azure waters, visitors can enjoy the flavorful Turkish culture at these resorts. A legend shared by the locals tells how the town’s name comes from an old French word of Le Mar Maris, meaning sea pearl. The name was given to the area when French tourists accidentally wandered into its picturesque bay while vacationing on the island of Rhodes. A pearl is an apt description of this gorgeous costline. 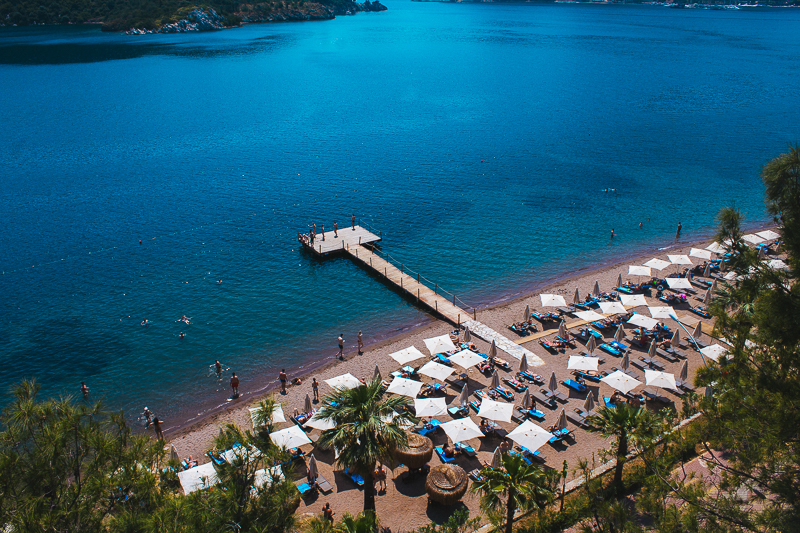 And to fully appreciate it, a well-picked resort gives you the best of private, relaxing beaches and Marmaris’s 4 km promenade with countless rows of restaurants, bars, and shops. The heart of the city holds an exciting covered bazaar, where you’ll find local leather, jewelry, pottery, carpets and other goods. 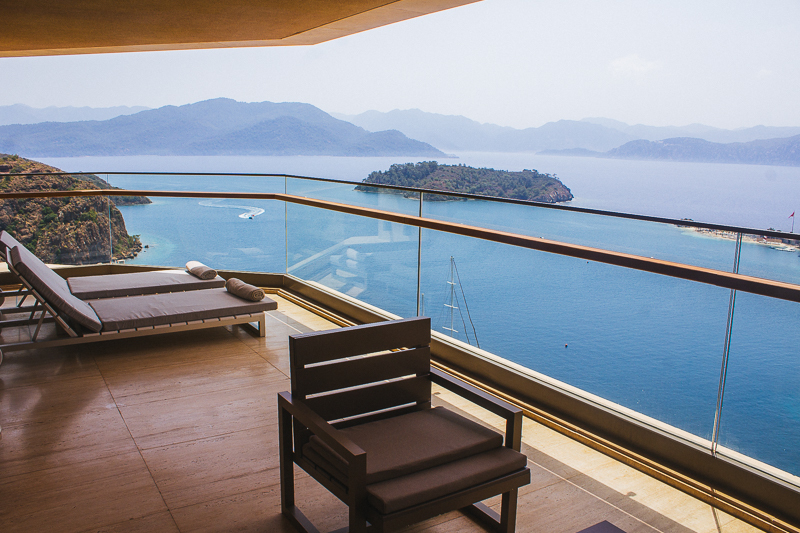 Marmaris boasts many luxury and 5-star hotels but not all 5-star hotels are created equal. Here are three high-end luxury resorts in the Marmaris area that have retained their 5-star value. 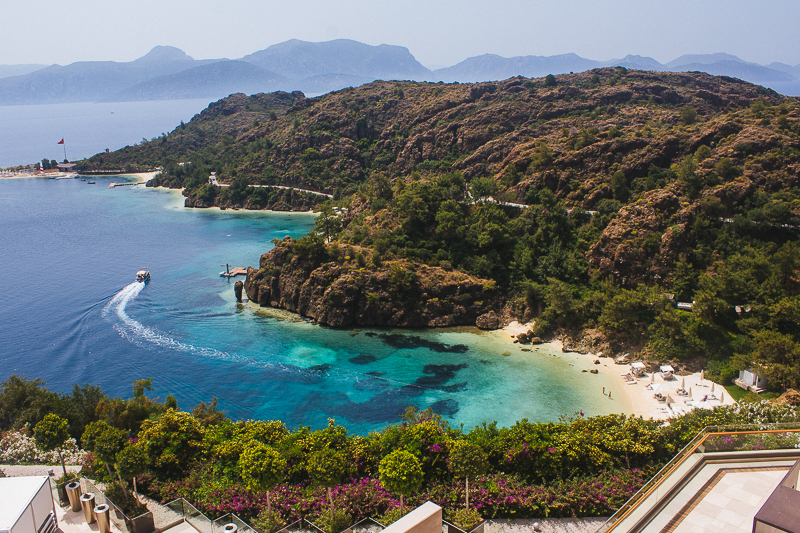 From the west edge of Marmaris City you’ll see a chain of beachfront all-inclusive resorts and hotels. And the very first resort you come to is the Grand Yazici Club Turban. If you want to experience Marmaris’s nightlife with the privacy and luxury of a resort during the day, this is your perfect location. 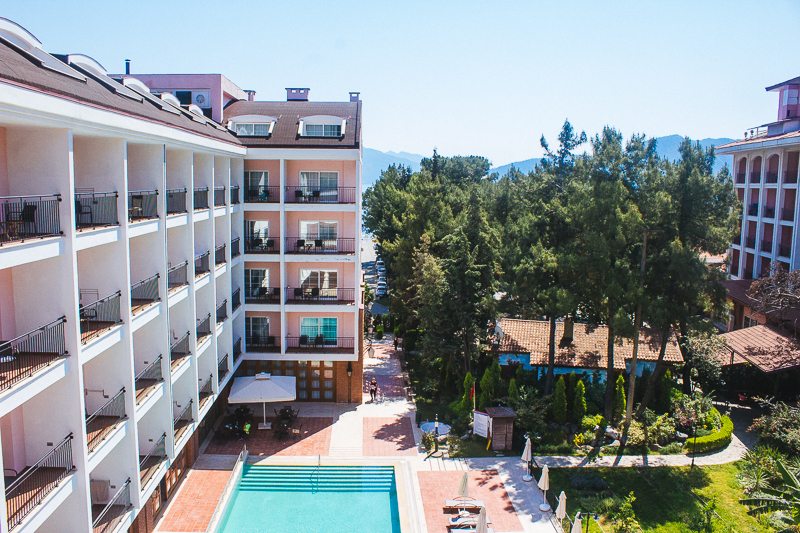 Although built in the 1970s, the Grand Yazici has undergone continual renovations and upkeep. This environmentally friendly hotel is strategically built around existing trees, to the point where the balconies and roofs have holes and corners to allow for them. The 459-room resort provides several types of accommodations; 224 of which are villas. Whatever style room you would like, they most likely have. Upon our arrival the hotel delivered a beautifully arranged tray of fresh fruits, nuts, and dried fruit and cookies accompanied with wine and whiskey to your room. Six swimming pools are located throughout the grounds. Otherwise, the private 330-meter beach is set up with sun loungers and umbrellas for guests. Food is available at all hours either through the main restaurant or several minibars. 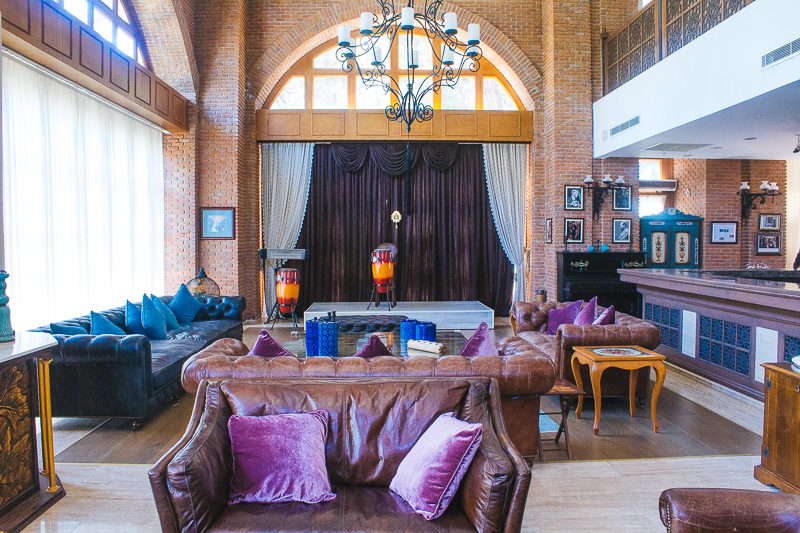 In the evenings, guests can enjoy a mix of entertainment from 9 PM entertainment show like magic or acrobatics, live music every night at 9:30PM, and on the weekends, alternating Disco and “White dress” parties. 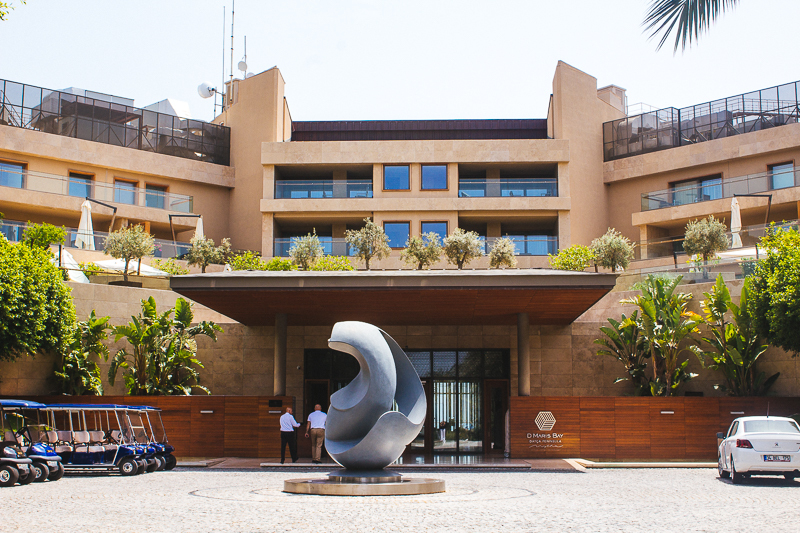 Built in 2015, the Sentido Orka Lotus Resort is the newest resort on the block. 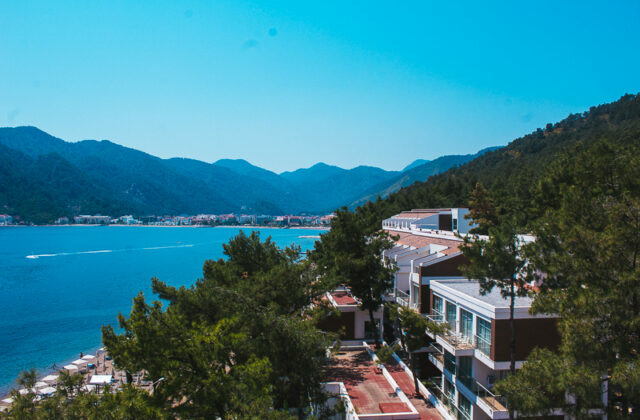 Located in between the city of Marmaris and the beach town of Içmeler, 5 km away, the Sentido Orka Lotus Beach Ultra-All Inclusive Resort has a new and modern feel. This bright, airy hotel prides itself on being a vacation resort for the ordinary working people – quality but affordable. With 441 rooms, all similarly arranged with inviting, relaxing Sentido colors of light teal blue and white. The accommodations vary from one bedroom standard or superior rooms, to two bedroom family-style rooms, all accompanied by a balcony. The Sentida offers no luxurious suites or villa type accommodations, but several rooms connect to provide more space for families. If the beach is your main priority, this resort boasts a long private beach of 650 meters. Small beachfront villas are available for rent at 50 Euros/day if you want a more privacy. For families, this resort has a five slide pool in the resort’s eastern corner, perfect for kids to enjoy activities without the noise, enabling the other guests to enjoy quiet beach time. At steep prices of $350 – $500 per night, this hotel is chosen for it translucent waters and secluded coves. Each room has an outstanding view of the bay waters or the rolling mountains jutting up from the bay. The room rates include a fantastic breakfast buffet. The D Matris Bay offers 5 modern restaurants, overlooking the coastline’s many bays. One of the most famous restaurants is the contemporary steakhouse, Nurs-Et, created by the Turkish chef and butcher sensation Nusret Gökçe, aka Salt Bae. Apart from the rerstaurants, the hotel’s main appeal is the five beaches, with white powdery sand lining the crystalline waters; all framed by a backdrop of impressive mountain ranges. The hotel’s private funicular tram takes guests to the main Bay Beach below the hotels. A water taxi will take guest to the other four beaches: La Guérite with a Mediterranean restaurant, Manos featuring Greek style cuisine, Maris Beach with private bungalows and jacuzzis, and the Silence Beach for those wishing to destress and unplug from all technology. While this is the least inclusive hotel, the restaurants and private beaches make it worth staying a few nights! 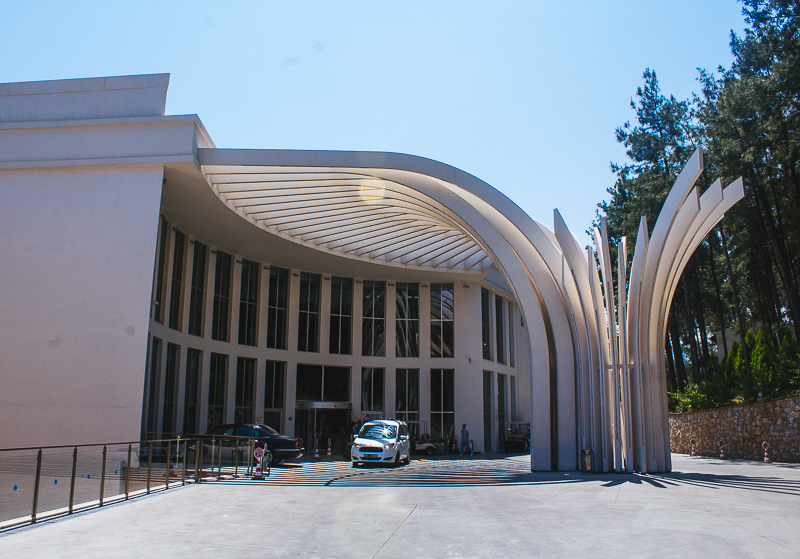 All three hotels arrange transfers to and from the airport for a fee.